014 Call the birds in on towering Mount Gower, Lord Howe Island. The incredibly rare Providence Petrel once bred in only two locations on Earth: Norfolk Island and Lord Howe Island, both off the east coast of NSW. The incredibly rare Providence Petrel once bred in only two locations on Earth: Norfolk Island and Lord Howe Island, both off the east coast of NSW. The bird was so named because it basically saved the lives of every man, woman and child on Norfolk after the supply ship HMS Sirius sank off her shores in 1790. More than 170,000 of the “birds of providence” became dinners between April and July 1790, effectively wiping them off the face of mainland Norfolk. Now they burrow and breed only on tiny Phillip Island (part of Norfolk) and on nearby Lord Howe Island, where they are a source – not of food – but of one of the more remarkable natural interactions in the world. Rated as one of Australia’s best day walks, the challenging 875m rope-assisted ascent of Mount Gower on Lord Howe is best done with a guide: for preference, the fifth generation islander Jack Shick (above), who has scaled it more than 1000 times. 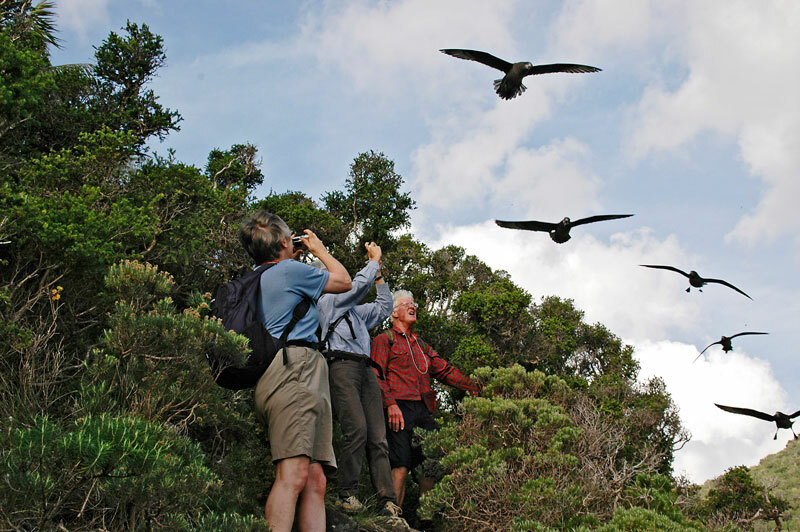 Climbing Mount Gower is special any time of year, but it’s between March and August that you can visit the Providence Petrel during nesting season, and watch Jack “call the birds in”. 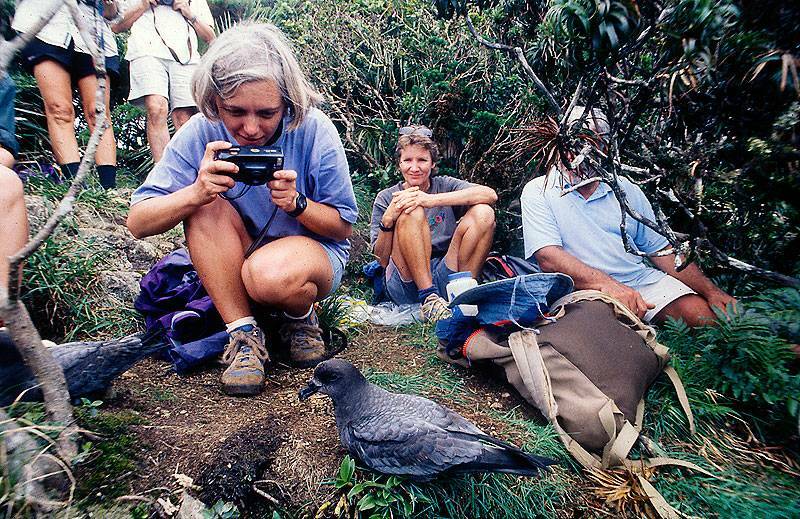 Down from the blue come the wild, extremely rare and beautiful Petrels, literally dropping out of the sky to climb into your hands, with not a hint of fear. There’s no ready explanation for this behaviour – especially during nesting – other than the birds’ natural curiosity. It’s an extremely rare and special interaction that doesn’t occur anywhere else in the world. WHERE // 600km east of NSW (1800 240 937 or www.lordhoweisland.info). DID YOU KNOW? 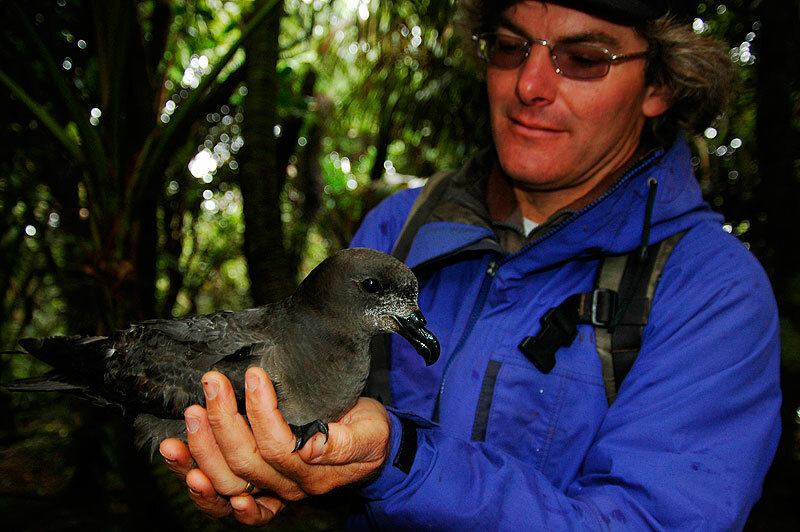 // Though the Providence Petrel has a range and distribution that includes crossing the Tasman to NZ, as well as the entire north Pacific Ocean, American Samoa, the US and outlying islands, it only nests and breeds on Phillip and Lord Howe Islands. Weird.